Today I realized, however, that maybe we can learn a few lessons from volunteer organizations. One of my volunteer groups is facing some challenges. A leader who “reports” to me came up to me and suggested I send out some official communication regarding my stance on the issue. I realized that that feedback was transparent, honest, and coming from a direct report within the volunteer organization. I don’t think that happens enough in the corporate world. 1. Create a culture where people can tell you the brutal truth. Volunteers are not afraid of getting fired or a bad review. Typically they will be more honest when there is an issue. Create a safe zone on your team where people are not afraid of retaliation. This requires being vulnerable and suspending judgement when people test the waters. 2. Be more collaborative. In volunteer organizations you really have to take everyone along with you, which means we tend to do more brainstorming than directing. This can easily be applied at work. Instead of giving a directive, let the team reach the decision through brainstorming. You might find yourself surprised. They could come up with a better solution than you had. 3. Say thank you effusively. In volunteer organizations we are always thanking people because we know they don’t have to be there. Pretend your employees are volunteers, and thank them just as much. Yes, they get a paycheck, but they also have other employers they can go to if you don’t appreciate them enough. Great advice. Addressing your third point; in my role as a consultant, just yesterday I witnessed a worker talking to his direct supervisor complaining that he feels very unappreciated. It is always important to find ways to make all employees feel appreciated. I can recommend the 5 Languages of Appreciation in the Workplace by Gary Chapman and Paul White. Based off Chapman’s previous best selling book the 5 Love Languages, it reminds us that not everyone wants to be rewarded at work in the same way. Some people prefer praise in public to rewards, while others would just like help when there is work to be done. The point is that if we understand what makes our people “tick”, what really motivates them to work hard and maintain that positive attitude, we can give them the boost they need to continue. If we assume they are motivated by the same things we are, we may actually de-motivate them. The guy I watched made it clear that he craved public recognition (and a pay raise which he hadn’t had in 6 years), and a pat-on-the-back not accompanied by either of those things felt more like a slap-in-the-face. It isn’t hard to figure out what people like if you talk to them and pay some attention to them. Thank you for the insightful comments! I have read “The Five Love Languages” but had no idea there was one for the workplace. I’m definitely going to pick that up! Great ideas Jana! 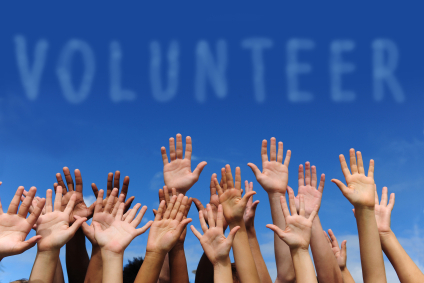 Never thought of volunteers in that way… gives me something to think about next time I am working with volunteers.